stored in buildings and factories. Many if not most odours are produced by Bacteria and other Organisms. 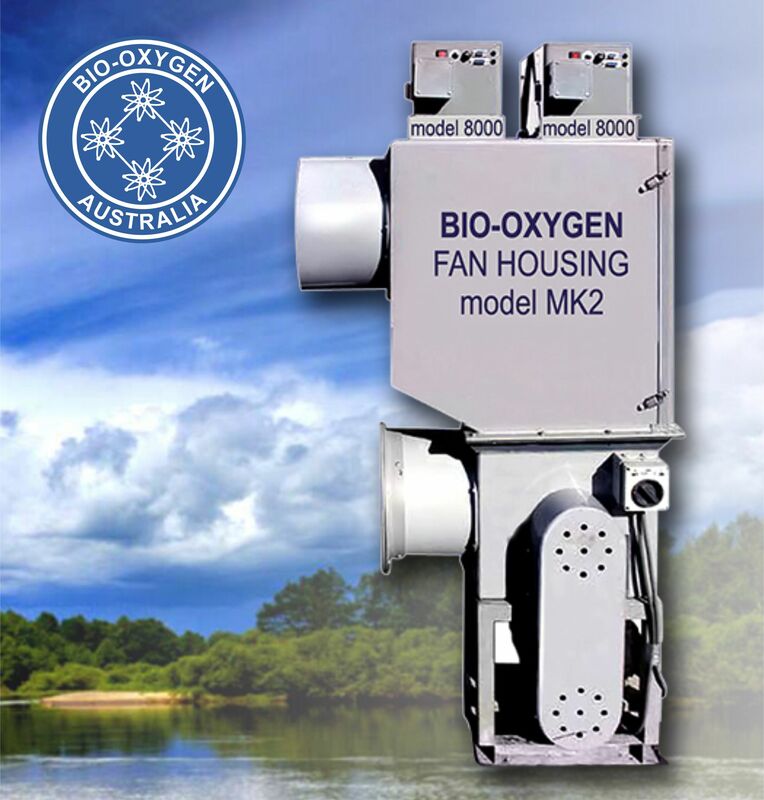 The Bio-Oxygen Process kills the organisms that cause odours such as Bacteria, Fungus, Yeast, Mould, Mildew, Spores, Viruses, Protozoa and other Organisms. The Bio-Oxygen Process treats the cause (Bacteria) as well as the effect (Odours). meter), collected on a 0.10 micron pore size test membrane. because all these factors are a load over and above the pollutants in the exhaust air. The Oxygen Clusters react with the Odours and Chemical Fumes in 5 – 15 seconds. The electron tubes are installed in the path of clean outside air and the polluted air does not come into the contact with the electron tubes so that the Bio-Oxygen electron tubes always stay clean. diminish over 5 – 15 seconds. The odours can only travel as far as the air currents and wind can carry the odours in 5 – 15 seconds but along the way, the odours diminish and in up to 15 seconds, the odours are gone. The Bio-Oxygen Process is a positive process that works at the molecular level. Carbon Filters, Scrubbers and Biomass Filters are all negative processes because they only absorb the odours and don’t do anything to the odours themselves. With the Bio-Oxygen Process, up to 99% odour reduction may be targeted because as long as there is an excess of Oxygen Clusters, there can be no residual odours. 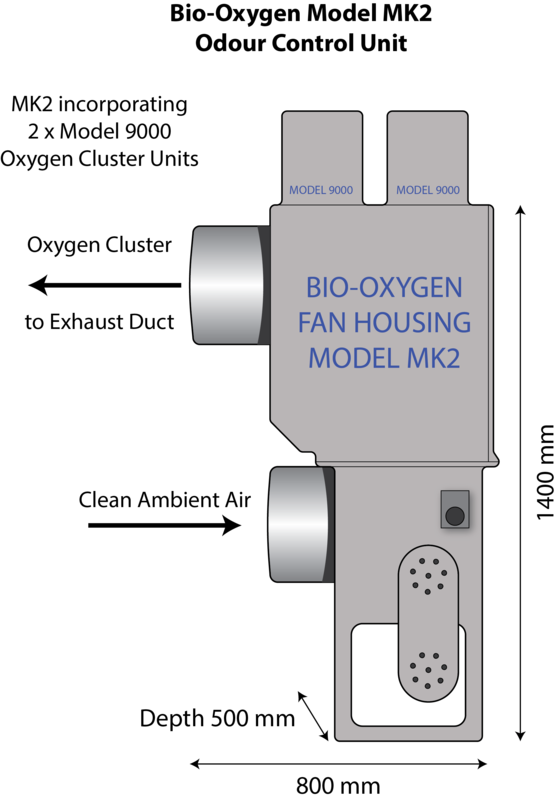 Please ask Bio-Oxygen for a cost estimate to treat your particular odour emissions.